We are excited to announce the official launch of the Hypothesis LMS app. 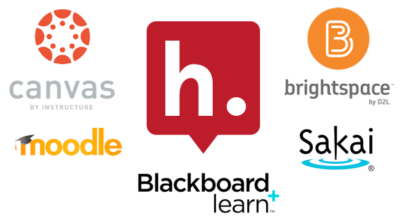 Thanks to the Learning Tools Interoperability (LTI) standard, Hypothesis now integrates with all major LTI-compliant Learning Management Systems, including Instructure Canvas, Blackboard Learn, D2L Brightspace, Moodle, and Sakai. We will be testing other platforms, including MOOC-providers like Coursera and edX in the coming weeks and months. With this release, Hypothesis is better prepared to support the strong adoption we already see in teaching and learning. Students and teachers are a majority of the nearly 200 thousand annotators who have created over 4.3 million annotations using Hypothesis. The new LMS integration means teachers can bring collaborative annotation in their classrooms seamlessly as a part of their normal workflow. Here’s the short of it. LMS’s do some things really well and are not going to go away. We still use an LMS at our institution, and while I would really like the vendor to invest some of our hard earned license fees into making it a more user friendly tool, we still need an LMS. However, I’ve tried really hard to make sure our online strategy does not start and finish with the LMS, and yes, it is an ongoing battle. This article presents an excellent point. I also see a lot of what I would call IndieWeb philosophy bubbling up within this argument, and perhaps the edtech space could benefit from some of their ideas, set up, and design? If you like, we could take the analogy IndieWeb:Social Silos::Educational Technology:Learning Management Systems and extend it. Much like the demise of the innovation on the web and within the blogosphere as the result of the commodification of social media by silo corporations like Facebook, Twitter, and others around 2006, the technology space in education has become too addicted to corporate products and services. Many of these services cover some broad functionality, but they have generally either slowed down or quit innovating, quit competing with each other, are often charging exorbitant prices, and frequently doing unethical things with the data they receive from their users. The major difference between the two spaces is that Big Social Media is doing it on a much bigger scale and making a lot more money and creating greater damage as a result. Instead, let me make some recommendations to thought leaders in the space for more humanistic and holistic remedy. Follow the general philosophies and principles of the IndieWeb movement. Dump (or at least gradually move away from) your corporately built LMS and start building one of your own. Ideally, open source what you build so that others can improve it and build upon it. In the end, you, your classes, your departments, and your institutions will be all the stronger for it. You can have more direct control over your own data (and that of your students, which deserves to be treated more ethically). You can build smaller independent pieces that are interchangeable and inter-operable. The small pieces may also allow new unpredictable functionalities when put together. You can build to make better user interfaces, better functionality, and get what you’d like to have instead of just what you’re given. Sure, doing this may be somewhat uncomfortable in the near term, but many hands over many institutions, building and crafting a variety of solutions will result in a much better and more robust product–and one that we all can “own” and benefit from. By open sourcing, many hands will make light work. Imagine what the state of online learning, Open Educational Resources (OER), and open pedagogy would look like if the hundreds of institutions had put all of their LMS related funding over the past decade into even a handful of open source programmers instead of corporately controlled interests? For solid examples of what can be accomplished, we can also look toward individual developers like Stephen Downes and projects like gRSShopper or Alan Levine and his many open source repositories. There are also individuals like Greg McVerry, who is using free and opensource content management systems like WordPress and WithKnown to push the envelope of what is possible with classroom interactions using simple internet protocols like Webmention, Micropub, WebSub, and bleeding edge readers using MicroSub, and Robin DeRosa, who is creating her own OER materials. These are just a few of thousands of individuals hacking away at small, but discrete problems and then helping out others. There are even ethical companies like Reclaim Hosting who are doing some excellent and tremendous work in the DoOO space. The benefit of the way these systems are built and maintained however, is that should Reclaim cease offering their excellent support, benefits, and add-ons, individuals or institutions could relatively easily take all of their data and applications and move them to another provider. This provides a massive incentive for service companies to continue iterating and improving on their work as well as the services they offer. Sadly, some of these mechanisms don’t exist this way within much of the corporate LMS space. But they certainly could and should. I’m always happy to help people begin to find their way in some of these resources if they need it to get started. 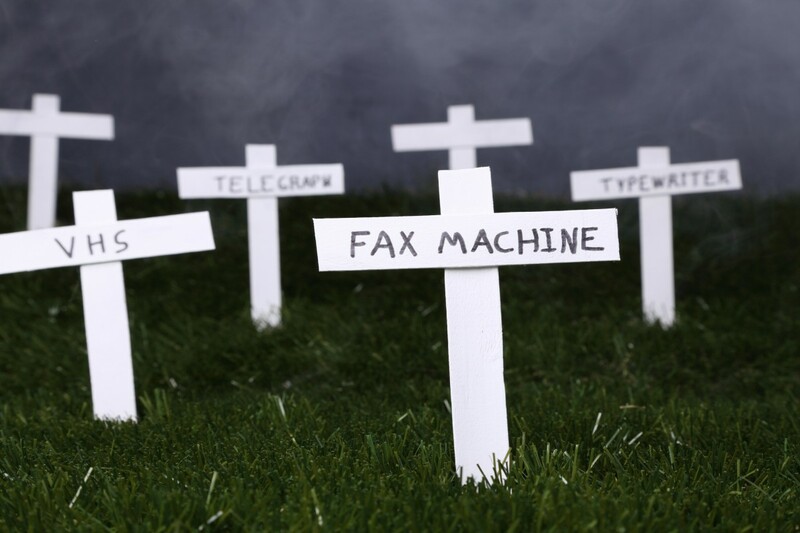 If it isn’t already, the learning management system will soon be obsolete, Jonathan Rees argues. Let’s replace it in ways that treat professors like the professionals they are.